Faceted Design – When a designer takes curves out of the equation, only sharp edges and hard angles remain. 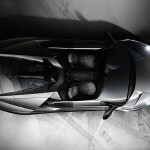 These edges and angles can create truly beautiful works of design, be they automotive, architectural or even artistic. 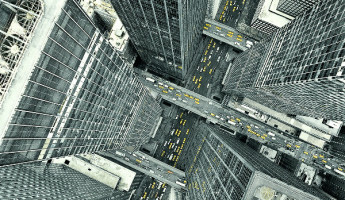 The results are faceted designs, wild crystalline structures that make a super car more aggressive, a wrist watch more fashionable and an aircraft undetectable. 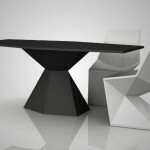 Join us below to explore 10 faceted designs that are shaping the look and feel of the products of tomorrow. 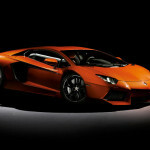 Lamborghini could be considered to be the godfather of faceted design. In 1974, the Lamborghini Countach LP400 was released, a sharp-angled, wildly aggressive sports car without a single curve on its body. 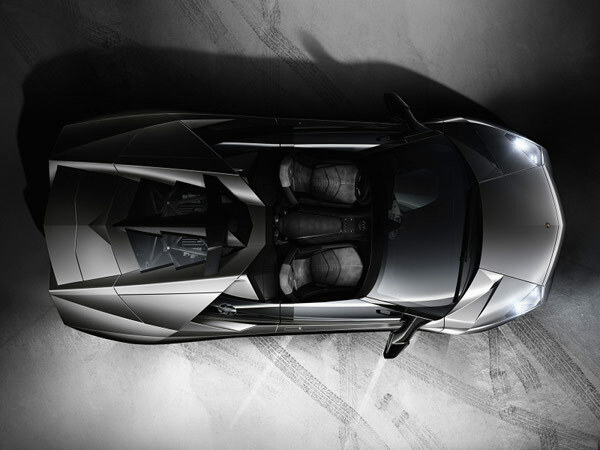 It is amongst the brand’s most iconic vehicles, a success in design that has remained in the spirit of every vehicle Lamborghini has produced since. The latest Lamborghinis are a bit curvier than their Countach counterparts, but few other vehicles appear to be so visually aggressive. The Lamborghini Aventador, the Reventon and the Sesto Elemento are a few of the brand’s latest and greatest, each of which has a fundamental focus on facets in its bodywork. For over 40 years, this crystalline approach to automotive design has been a defining factor for one of Europe’s great luxury car manufacturers. 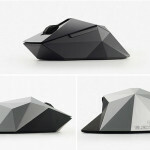 What might be the world’s coolest mouse owes its allure to faceted design, where flat, triangular surfaces meet on hard edges. 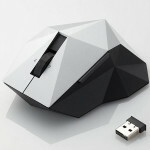 The Orime Mouse by Elecom and Nendo is a functionally-standard five-button mouse, but even the scroll wheel on this baby is sliced geometrically. 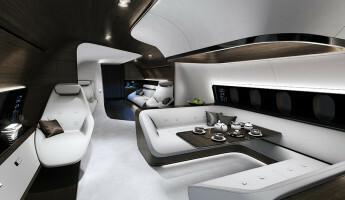 While comfort might be a consideration for some, the cool factor comes out on top. At ~$84 each, the price is a bit of a stretch. 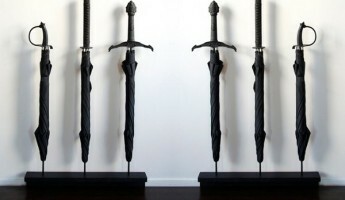 But the facet-focused collector might consider paying the premium. 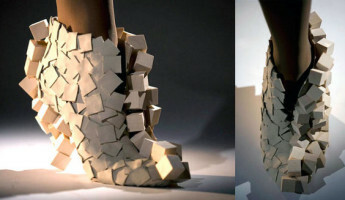 Designer Andreia Chaves has an unique perspective on footwear design. 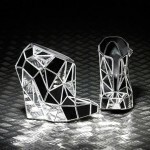 Her high-heeled concepts use faceted design philosophies with a range of materials. 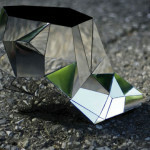 The Invisible Shoe by Andreia Chaves features a faceted, mirrored exterior that reflects the ground around them with each step. 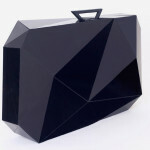 In a more recent design, Chaves dropped the mirrors for a black faceted frame that encages a typical high heeled shoe. 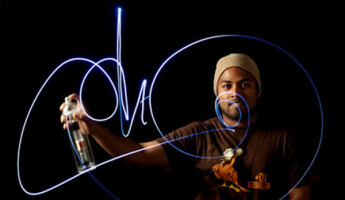 In the world of footwear, Chaves’ designs are some of the most progressive and ground-breaking in this young century. 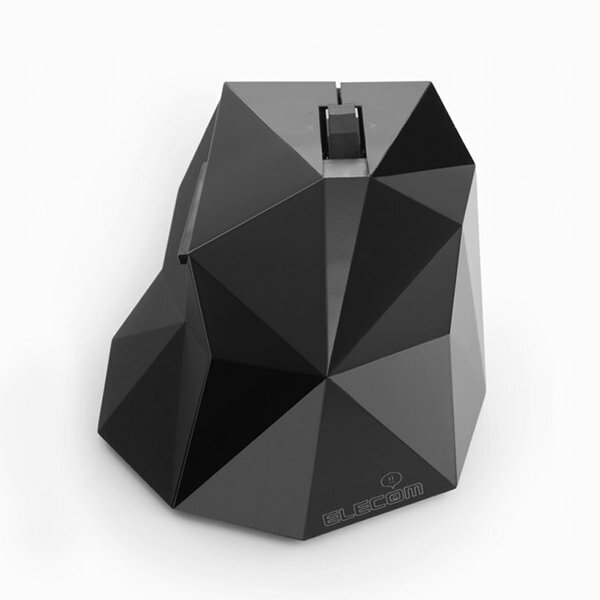 Faceted design can also have a functional application, especially in the radar-deflective systems of stealth aircraft. 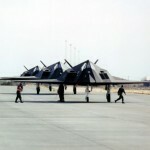 The F-117 Stealth Fighter is possibly the most iconic stealth aircraft ever taken into battle, the ship that launched a new generation of aeronautic technology. 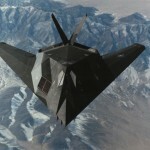 Stealth bombers and even stealth boats had been employed by militaries around the world for their ability to avoid radar detection in many scenarios. 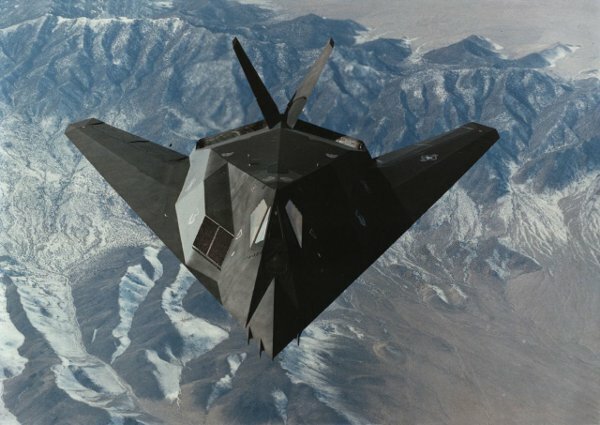 Today, the faceted style of stealth aircraft have given way to curvier systems which are developed with new radar analysis software. 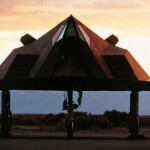 While faceted designs may not be used the same way they were to close out the last century, the F-117 remains one of the most visually remarkable aircraft ever to have been created in American history. 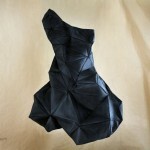 Designer Mary Huang has developed a new, customizable fashion project that uses faceted designs for modern dress wear. 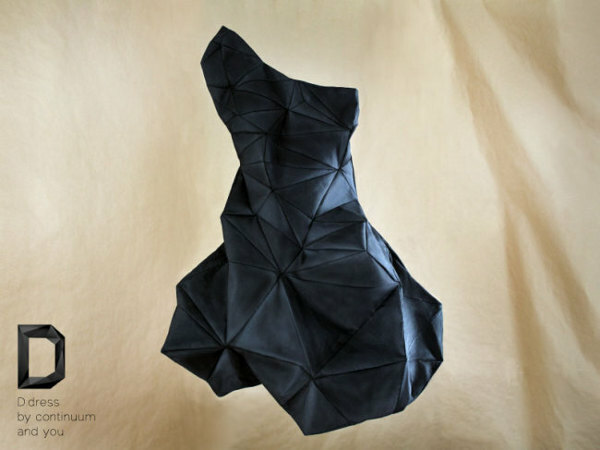 The D Dress by Continuum is a dress designed by you but guided by Huang’s Continuum system. 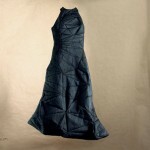 Using Continuum, one can create their own design using Huang’s pattern, then it can be made by you or a hired tailor. 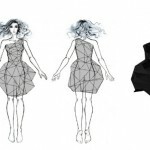 It’s a democratic approach to fashion design, where Continuum acts as a guide to allow users to craft faceted fashion in their own inspiration. 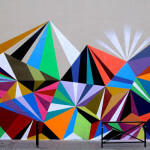 Can facets exist in two dimensions? 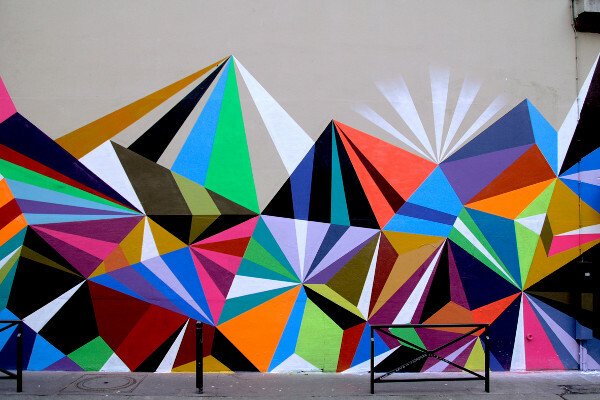 Artist Matt W. Moore has developed a form of street art unlike any other, where colors and geometry merge in a manner that leaps off the canvas. 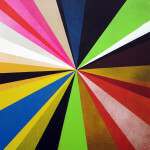 If you look at it another way, the canvas is often the third dimension for Moore. The city walls upon which he performs are an important element to his paintings, as the street ambiance only adds to Moore’s mystique. 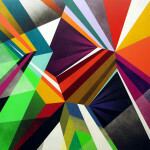 This set, Crystals and Lazers by Matt W. Moore, shows that geometric art can surpass two-dimensions both visually and philosophically– yielding virtually faceted art. 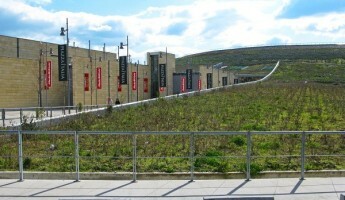 Faceted Architecture is an increasingly common discipline of design. 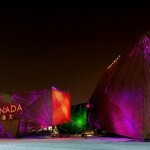 In the recent Shanghai World Expo 2010, several of the national pavilions used faceted designs to represent their cultural identity. 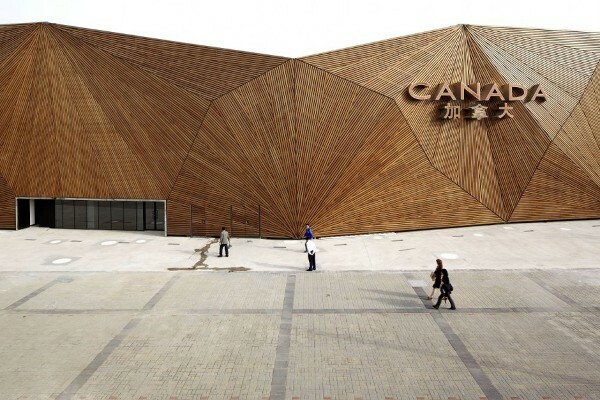 The Canadian Pavilion, shown above, used large, flat facets and angled edges for a look of futurism, but using wood as its skin for a sense of nature. 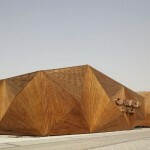 Many others, like the Portuguese, German and Polish pavilions, also employed a faceted fascia in their pavilion designs. 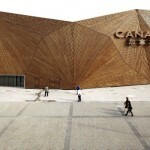 Check out our review of the Shanghai World Expo 2010: The Ten Architectural Wonders for more. 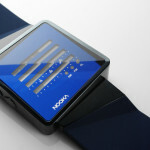 The Nooka Zizm Watch explores faceted design in a more subtle execution, one that is perfectly suited to the fashion trends of today. 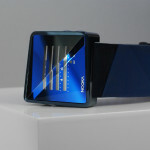 The Nooka Zizm features a prismatically-inspired crystal lens over a complex digital display. 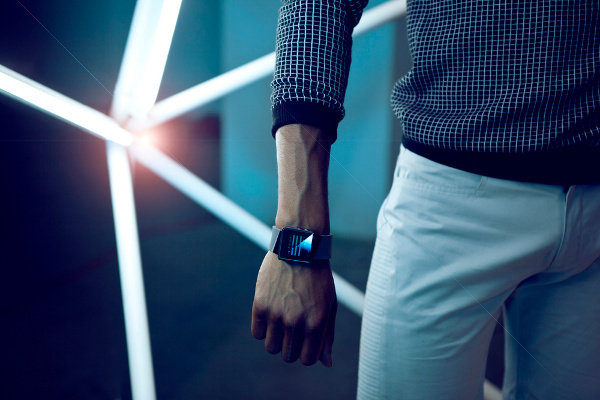 The faceted design is repeated on the watch’s band, one that can be cut to suit the size of the wearer’s wrist. 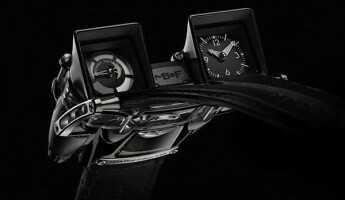 It is the healthy dose of futurism in this watch that has us spellbound. Its off-set angles and lack of clear symmetry create a sense of “glitch by design” that we’d be proud to wear around our wrist. It’s easy to see why industrial designer Karim Rashid has earned a celebrity status amongst his peers. 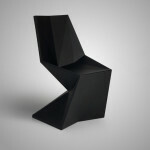 His Vertex Chair for VONDOM is a truly remarkable application of faceted design, a step forward for a furniture industry that has otherwise gone stale over the years. While the Vertex Chair (and table) may not fit into most homes, it is an excellent choice for those who want to bring a bit of futurism into a modern environment. 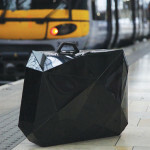 A design like this will certainly differentiate your suitcase from the rest of the travelers at baggage claim. 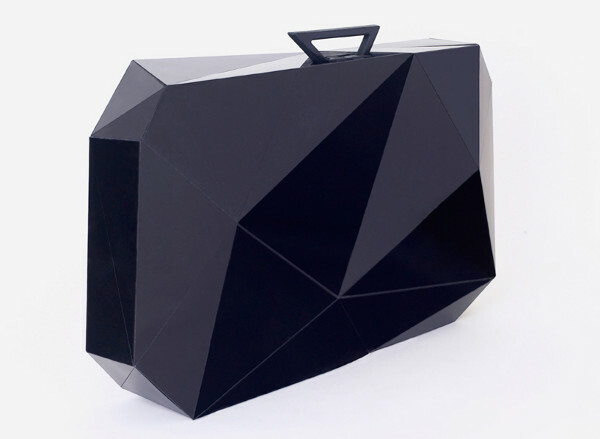 The Orishiki Suitcase by Naoki Kawamoto is a glossy, black faceted design that adds character and space to the traditional rectangular suitcase. The lack of rollers might be a burden to most of us, but the cool factor is hard to ignore. Give us a briefcase sized Orishiki, and we’d be ready to bite.